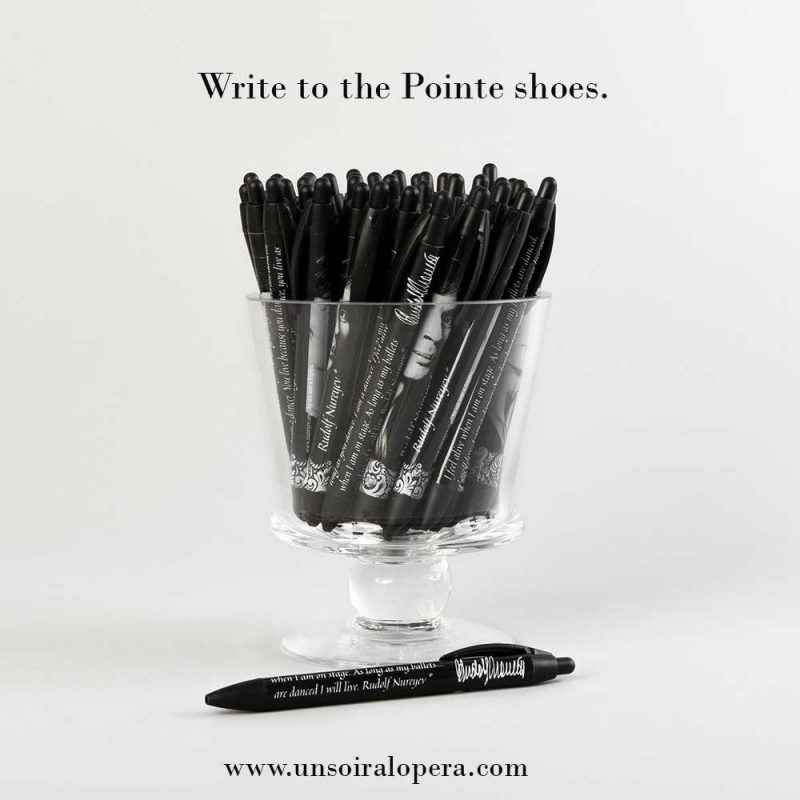 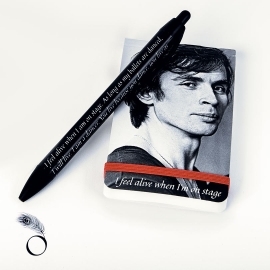 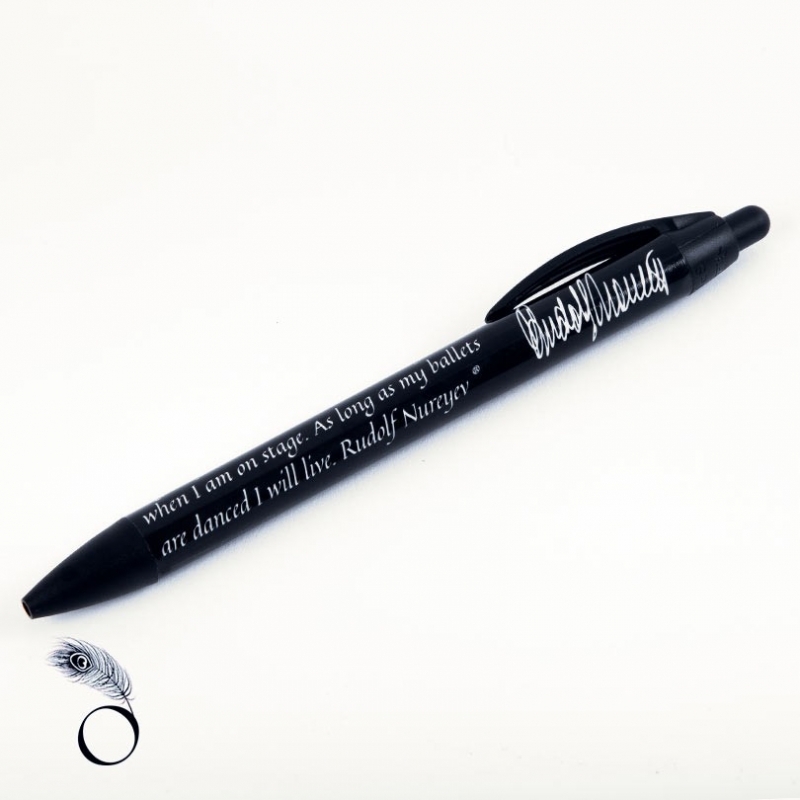 Special dance accessory for ballet lovers, this dance pen featuring Rudolf Nureyev's famous inspiring quotes. 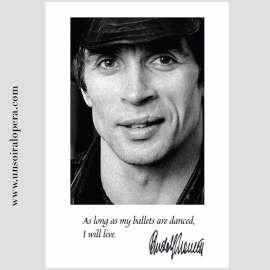 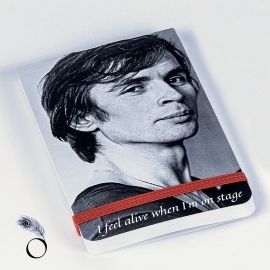 Rudolf Nureyev is still a source of worldwide fascination as a dance icon. 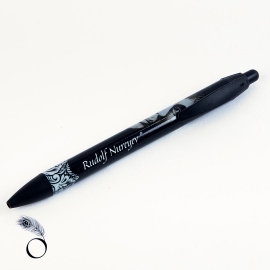 Easy to hold for a smooth writing - black ink. 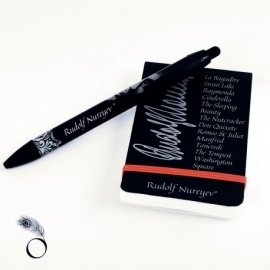 Stationery dance gift ideas. 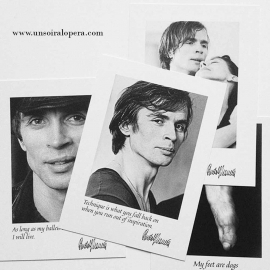 e-shop for dancers and ballerinas, check out our dance items, classical ballet inspired collectibles for the Rudolf Nureyev Collection by Un Soir à l'Opéra. 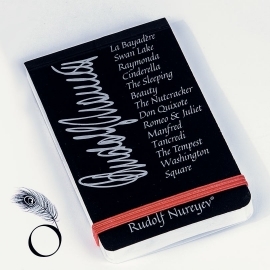 Tote bag for dancers, stationery, collectibles, exclusive design. 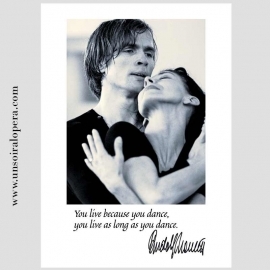 "As long as my ballets are danced, I will live"
"Technique is what you fall back on when you run out of inspiration"
"You live because you dance, you dance as long as you live"
"I feel alive when I am on stage"